^ Grant, J. Andrew (2001). “class, definition of”. In Jones, R.J. Barry. Routledge Encyclopedia of International Political Economy: Entries A-F. Taylor & Francis. p. 161. ISBN 978-0-415-24350-6. http://books.google.com/books?id=a29qBofx8Y8C&pg=PA161. ^ Brown, D.F. (2009). 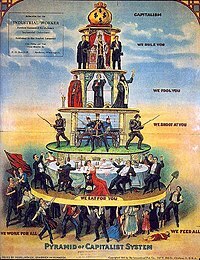 “Social class and Status”. In Mey, Jacob. Concise Encyclopedia of Pragmatics. Elsevier. p. 952. ISBN 978-0-08-096297-9. http://books.google.com/books?id=GcmXgeBE7k0C&pg=PA952.